To deal with the issue of mentorship, CEO Amitabh Kant said priority would be given to girls school to set up tinkering labs. 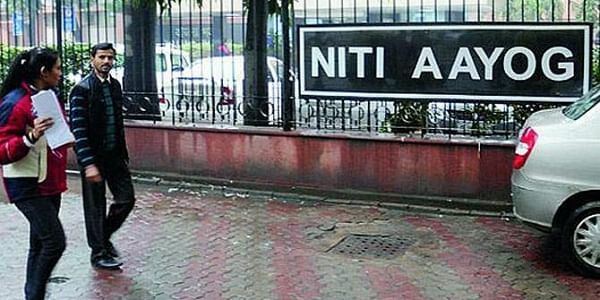 HYDERABAD: Niti Aayog will set up a dedicated women cell to handhold and facilitate promotion of women entrepreneurs in the country, it's CEO Amitabh Kant said today. He said the cell would ensure all support to the women entrepreneurs. To deal with the issue of mentorship, Kant said priority would be given to girls school to set up tinkering labs. "The cell would handhold women entrepreneurs and acts as a facilitator and catalyst," he told reporters after conclusion of the three day Global Entrepreneurship Summit 2017. He said about 2,200 participants from 150 countries participated in the summit. Out of this, 53 per cent were women entrepreneurs. About 33 per cent of the entrepreneurs were below the age of 30 and the youngest was just 13 year old. Prime Minister Narendra Modi inaugurated the event with Advisor to the US President Ivanka Trump. It was organised by Niti Aayog and the US government. Defence Minister Nirmala Sitharaman and External Affairs Minister Sushma Swaraj also participated in the summit. Besides, cricketer Mithali Raj and tennis player Sania Mirza. The summit acts as a huge platform for networking and discussing business opportunities for women entrepreneurs. Ajaita Shah, founder of Frontier Markets, won USD 4 lakh worth startup resources at the Global Innovation through science and technology competition.